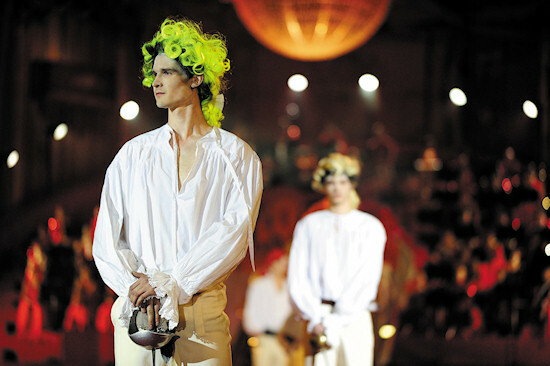 Hosted by VOGUE Italia, the fashion show of the 20th Life Ball was a retrospective of Life Ball's legendary designers. Above, Germany's Next Topmodel and stunt woman, Miriam Höller, on the Red Ribbon with burning Victoria's Secret wings. Hi, one integral part of the Life Ball is the glamorous fashion show of usually one or more international top designers at the end of the official opening ceremony. As a special for the 20th Life Ball, the anniversary brought back not one but more than a dozen (!) 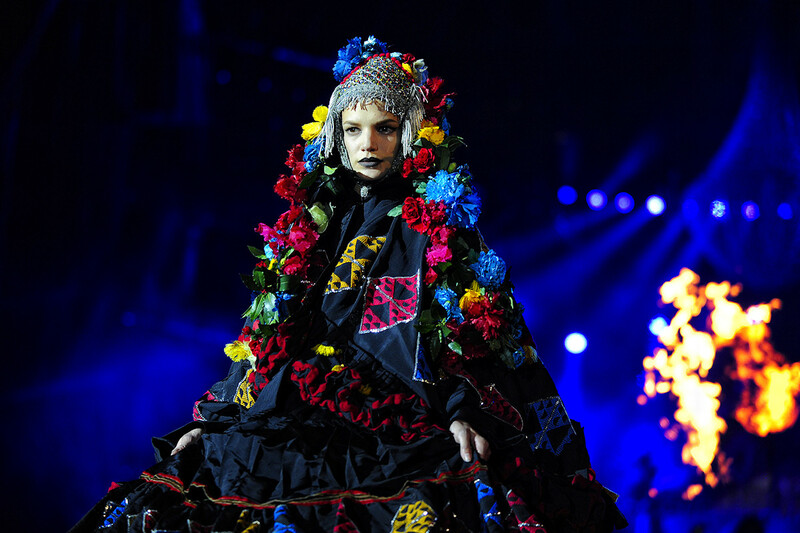 of Life Ball's former designers, including Jean Paul Gaultier, Agent Provocateur, Pacco Rabanne, Vivienne Westwood, Gianfranco Ferré and more. The giant mix of top designers, top models, singers and celebrities who also participated in the show, was like a fashion week of top designers, compressed into one electrifying show, that lasted about thirty minutes. Here are my favorites of the fashion show. What is your favorite designer and look? 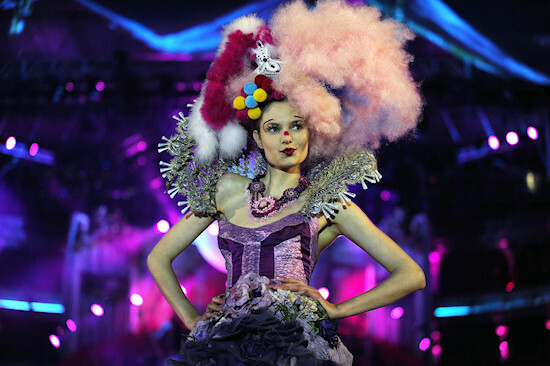 Topmodels Karolina Kurkova and Eva Riccobono opened the Life Ball fashion show for Italian label Gianfranco Ferré. Topmodel, Alek Wek in a sequined blue gown by Diane von Fürstenberg. Amazing headwear by Philip Treacy. American model and transsexual icon, Amanda Lepore. Drag queens, Miss Candy, Conchita Wurst, and Tamara Mascara, here at a side event of the Life Ball, also participated in the fashion show. Topmodel, Lydia Hearst in lingerie by Agent Provocateur. British actress and granddaughter of Charlie Chaplin, Kiera Chaplin. Victoria's Secret Model, Karolina Kurkova. 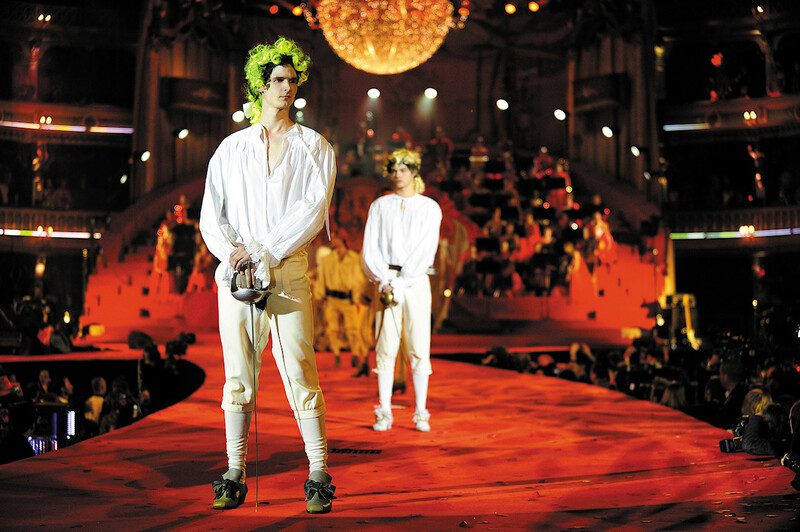 In 2011 the earnings of the Life Ball totaled over 2 million EUR and in the last 19 years the Life Ball thereby supported over 35 national and 59 international AIDS projects in 35 countries. Kudos to Gery Keszler, his team, and the politicians who have made this possible! I am currently studying Fashion arts in school and I am doing a fashion project I was wondering if I could use some of your pictures? @Jocelyn: Thx for the request. All photos here are third-party photos, copyrighted by the respective photographers. It may depend on your intended use and project, but in general you have to acquire a license to use the photos for your purposes.